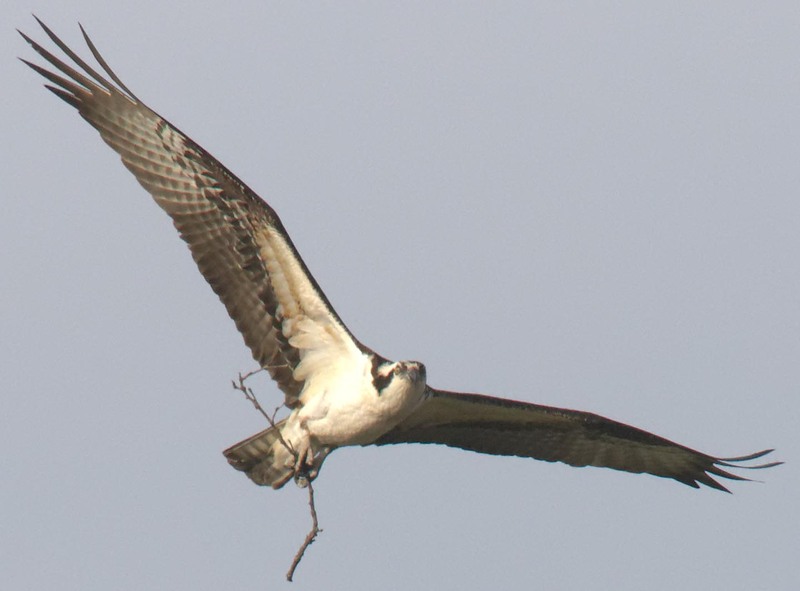 Suddenly, an osprey appeared in the woods behind the salt marsh. After a couple of passes it became clear that nesting material was being gathered. We’ve been watching the nests, but this was my first sighting of the year.